There is so much buzz and hype around Chatbots it is difficult to understand how to use this technology to create meaningful benefits in an operational setting. We've got an option to help you cut through the Chatbot BS. Forrester just released a report titled "Chatbots 101: Building a Conversational Interface" which is a great read and tells it like it is. (You can download the report below). When will Chatbots replace apps... or human? When and where are Chatbots a good fit? Are Chatbots ready for prime time? Four questions to ask before you deploy a Chatbot. 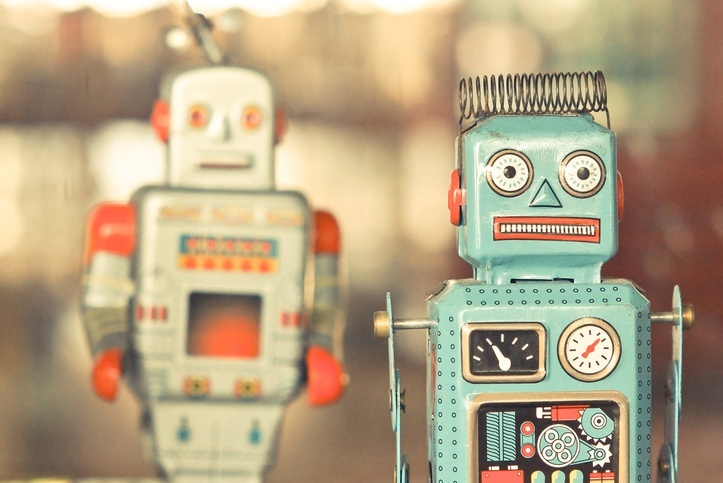 Four questions to ask before you build a Chatbot. These are questions you'll need to answer as you build your intelligent assistance strategy. Chatbots 101 will help you gain clarity on this technology and its best use. In this guest blog, Amy Stapleton from Opus Research outlines three ways Intelligent Assistance technologies can work for Marketing. The post is based on Amy's white paper, Six Perspectives on Intelligent Assistance, which is available at the end of this blog. Customer care professionals have been leveraging the benefits of intelligent assistants and similar self-service technologies for many years. On the flip side, most marketing professionals didn’t spend much time thinking about smart self-service solutions in the past. Self-service and marketing wandered down two separate paths. But with the 2016 “Facebook Messenger bot platform announcement” generating excitement around chatbots on messaging platforms, marketing executives are getting into the intelligent assistance game too.